In the morning I would get up at 5 a.m. so that I don’t miss the sunrise. 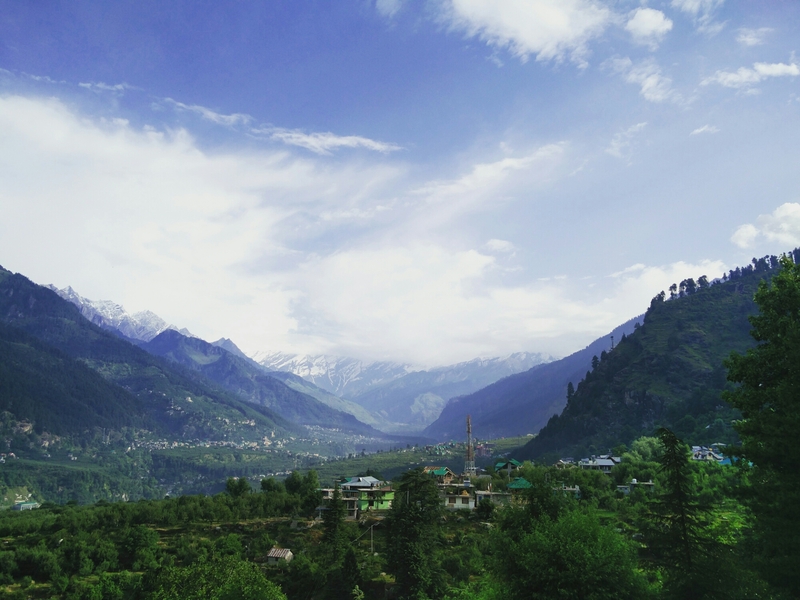 When the sun rays touch those sky-high mountains, it reflects in the valley creating beautiful shades of greenery. The voice of chirping birds was a retreat to the soul. At around 6.30 am after having a tea watching sunrise, I left for a morning jog with my father and brother. The atmosphere in a month of June is very pleasant. As sometimes clouds touch the grounds, sometimes it rains a bit, and sometimes the sun shines. 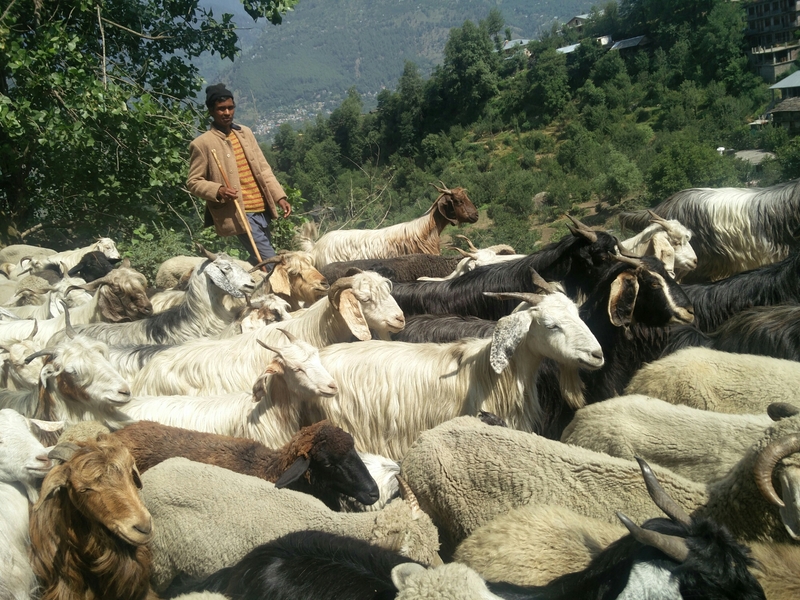 While morning walk, I could see the local villagers passing through with hundreds of cattles to feed them. We walked around 2 kms till the river bank. Clouds passing by and the voice of river is enough to feed our souls. I could see small waterfalls coming from mountains at every short distance. First time I had water from handpump attached to hill, which was fresh water, and I can bet it was more clean and cold then any mineral water. After spending some time at riverbank, we went back to hotel. My mom was talking to a lady who was working as a cleaner at the hotel we were staying. I walked to her and told my mom it was an amazing morning walk, she should have joined us. Then she introduced me to the lady. She said she would come to clean the hotel and garden between 10 am to 4 pm and for which she earns 5000 rs. a month. She said instead of sitting idle at home, it is always better to work. I asked, even in off season you get work. She said, no tourists come in off season like rains and snow. So during that time, we weave sweaters and then we sell it when tourists are here. She talked about how important snow is for Manali and agriculture over there. She spoke about how can you benefit your health by being close to nature. Try using woods to heat your water and take bath from that, it will never cause your hair loss, she said. I asked her why most of the ladies wear dupatta around the head. She replied, as per tradition once the woman is married she needs to cover her head with the dupatta. Failing to do that can cause harm to her husband. This and many more beliefs people of village carries. She was a graceful lady with a motherly smile. I loved this candid conversation with her and got a chance to know how diverse our Indian culture is in different places. 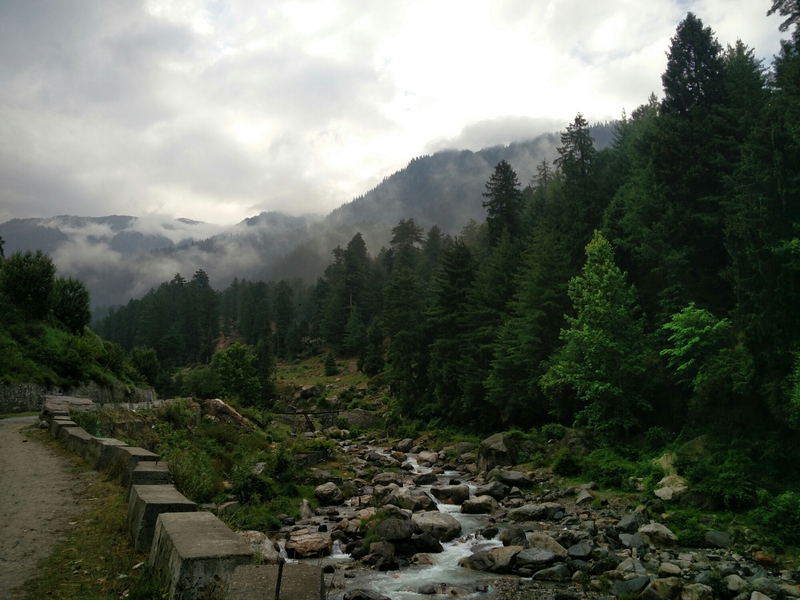 With a wish to travel more and come across more stories… I left Manali with beautiful memories.